When almost every industry uses application technologies, there’s no reason why the medical industry should be left behind. In fact, healthcare should be leading, not following, the rest of the world. Ayoka Systems develops custom software for different industries, including the health industry. We develop software that patients and doctors can use to turn abstract information into real-world actions. Let us help you develop the medical app you need. Many of your patients use apps for nearly everything, from productivity to entertainment. They’re used to using apps to keep track of their lives. Many people even use apps to improve their health. Sleep trackers, automated grocery lists, and calorie counters provide a convenience that people have come to expect from their health technologies. So what happens when their healthcare providers can only reach them through phone calls and emails? They overlook communication. They miss important information. Sometimes they miss appointments or neglect to schedule them in the first place. Medical app convenience means that your patients can keep their information right where they need it. When we develop your medical app, you can focus on taking care of your patients. You’ll spend less time doing paperwork because an app can automate a lot of your administrative tasks. A medical app will also help you and your patients to store information. The added convenience means that doctors and nurses won’t have to repeat the same questions over and over again. As a result, medical professionals can save time, and patients can avoid a lot of frustration. A medical app can also guide your patients to better, healthier lifestyles. The technology can help on several different levels. First, easy access means that patients will check in on their health more frequently. With today’s busy lifestyles, healthy habits get neglected first because they lack convenience. If you can put health information at your patients’ fingertips, you can make it easier for them to lead healthier lives. Second, the presence of a medical app will encourage patients to take a more active role in their own care. By thinking about their health more frequently, they become empowered to make better health decisions. Patients are already using technology to find health advice. Apps and websites promote alternative “cures” that range from ineffective to harmful. Furthermore, when a person notices unusual symptoms, his or her first step will likely not be to call a doctor. Usually, the first stop is the internet. Online research can be helpful, and it can give patients the framework they need to start a discussion with a doctor. However, it can also lead to misinformation and worsen patient anxiety. Imagine if you could provide helpful, accurate information just as quickly and easily as certain websites. A well-informed patient can breathe easier than a patient who has to make guesses. Depending on what you would like your app to accomplish, your patients can use the information across the board. They can grant permission for multiple doctors and specialists to use the information in their care. A general practitioner, for instance, may refer a patient to a cardiovascular specialist. The patient and both doctors can then use the app to communicate with one another. You can provide your patients with better recommendations, and the patient will have better resources to follow through with advice. This allows the patient to focus on his or her health as a whole instead of in fragments. When designing a medical app, you’ll need to keep several factors in mind. Healthcare software requires more expertise than most other industries require. The most important factor, of course, is patient safety and privacy. Your app designer will need to make sure that the software complies with HIPAA standards. Concerned patients will not use any medical technology unless they are sure that their private information will remain safe. Furthermore, medical apps will have to meet the same considerations that other industry apps have to meet. The software designer will need to make sure the app is user-friendly, convenient, and aesthetically pleasing to encourage patients to keep using it. The software designers at Ayoka Systems have the technological and legal expertise that you need to design your medical app. We have much more than just a general knowledge of software. In fact, we have years of very specific software design experience. 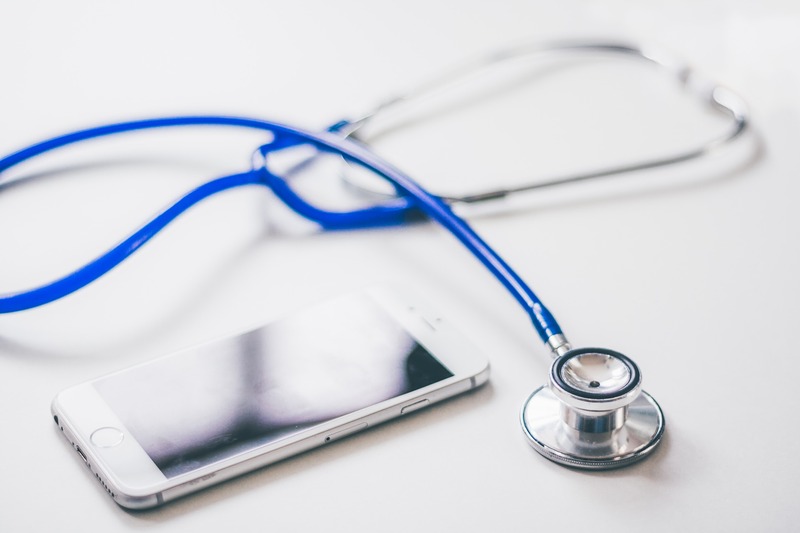 We’ve worked with many medical practices to create apps that both doctors and patients use for more convenience in the healthcare world. We would love to work with you, too. If you would like to learn more, click here to find more information about our medical software development. If you’re interested in developing a medical app and ready to start a consultation, call us at 817-210-4042 to tell us about your project.